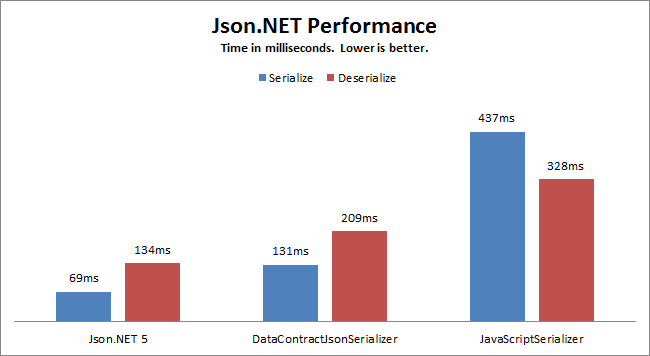 Serialize and deserialize any .NET object with Json.NET's powerful JSON serializer. Create, parse, query and modify JSON using Json.NET's JObject, JArray and JValue objects. Query JSON with an XPath-like syntax. Find out more about JSON Path here. Json.NET makes the simple easy and the complex possible. If you need it, Json.NET supports converting between XML and JSON. Json.NET is open source software and is completely free for commercial use. Json.NET supports Windows, Windows Store, Windows Phone, Mono, and Xamarin. Over 100 million downloads and counting, Json.NET is the number one library on NuGet. Json.NET documentation is the first place to go for help. It includes over 100 code samples. Stack Overflow has an active Json.NET community and is a great place to ask questions. Thanks to Allie Brosh for all the things.